I found SimBliss Farm on LBB a couple months ago and booked it instantly to host a big summer pool party for my family. It is easy to locate in Manesar, very close to Best Western resorts. Sanjana, the owner of the property was extremely helpful and responsive for all the doubts I had regarding food, cooking, cleanliness etc. The property has 4 spacious air-conditioned bedrooms, a kitchen, a common room, a pool, and a pretty looking courtyard in the centre where we arranged some chairs and tables and spent a lot of time over meals. The pool is the best part - very clean, huge, and it comes with an attached bar. It's convenient to have drinks, some munchies, and music around. There is a cook available too, you just need to inform him what all meals you want and they will buy the groceries and have the food ready on time. There are games for children, oh, and a bbq available too, in case you wish to use it. You can play in the garden or chill on the hammocks, this makes for the perfect place for family or friends reunions. It costs somewhere around INR 18k to 22k per night. To book your stay, get in touch with Sanjana at ‭+91 97170 22208‬. Family, Big Group, Pets, and Bae. No Leaves Left? 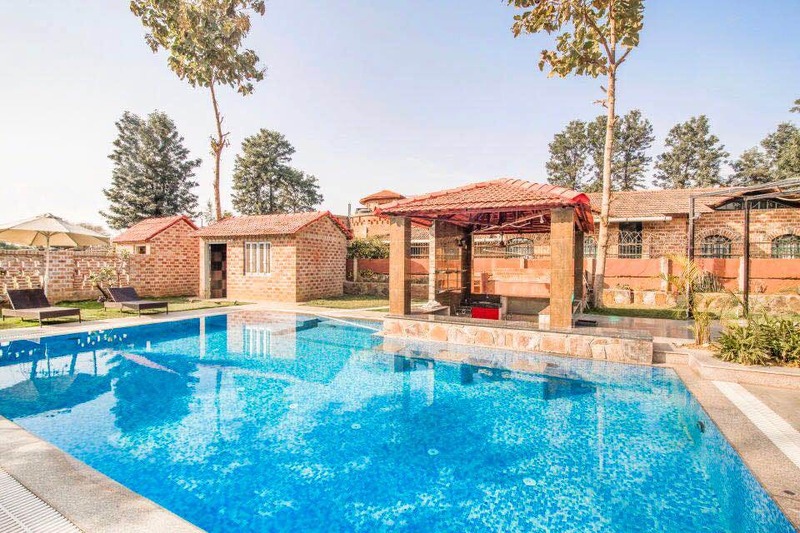 Check Into This Villa With A Poolside Bar & BBQ Pits, Right Here In Manesar!